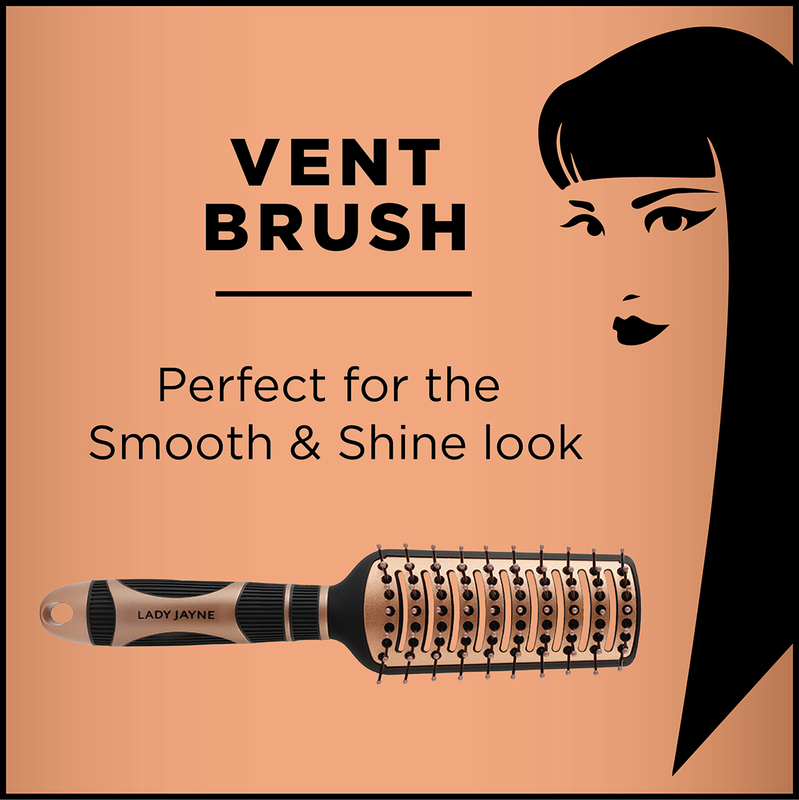 The vent brush has smaller vent base which is ideal for thinner hair. Create volume and movement or superior sleek styles. 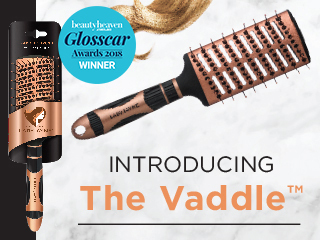 Ionic Bristles: Infused with negative ions to help smooth hair and reduce frizz. Vents allow optimal air flow reducing dry time. Heat activated ceramic heads will lock in your natural moisture and leave your hair soft and smooth in half the time. Easy grip handle that ergonomically moulds to the form of your hand for comfortable styling. Suitable for short to medium length hair and can be used to blow dry hair straight. Remove loose hair regularly. Wash in warm soapy water. Air dry away from direct heat and sunlight. 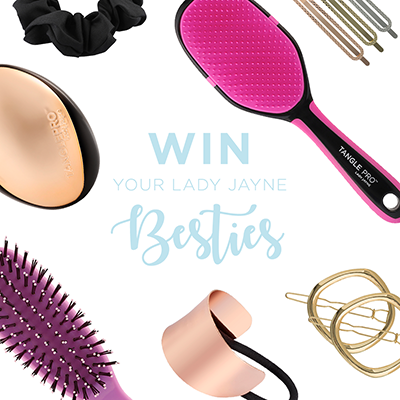 Split bristles can damage hair, so invest in a new Lady Jayne brush when bristles begin to show signs of wear and tear. Not suitable for long exposure with a heat styling device.